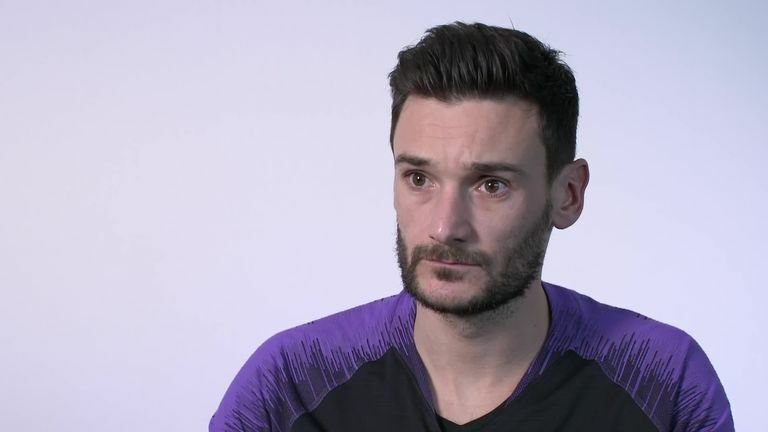 Tottenham goalkeeper Hugo Lloris says he was grateful for the support of Mauricio Pochettino and the club over his drink-drive charge - but insists he has now moved on. The France No 1 was fined and banned from driving in October after admitting to being twice over the limit, but he retained the club's captaincy amid a questionable spell of form. Lloris, who has improved his performances along with the team as a whole, insists he did not need to make this "mistake" to feel the club's support and suggests he would have accepted losing the captaincy should Pochettino have dropped him. "It's always nice to feel the support of your manager, club and team-mates. The most important thing is that they know me more than anyone else. That's something very important," Lloris told Sky Sports News, ahead of Arsenal vs Tottenham on Derby Day. "I didn't need this situation to feel the confidence of the manager and my team-mates. We know each other, and it's not because you make a mistake that you have a different judgement of a human. "The important thing now is to stay focused on my work, and I feel good, and I had a few good performances to help the team to get points. "From outside you can say whatever you want, but inside it belongs to the club. This is what I thought before and what I think today. "The most important thing is what is happening inside the club. The people know me and know who I am. Unfortunately, I made a mistake that I regret, but you always need to move on in life and this is what I have done. Don't miss a massive Derby Day on Sky Sports Premier League this Sunday. "It's not my decision. They know me. I have always been loyal with the club, with my team-mates. with my managers. I try to be committed, always. When I do something I like to do it 100 per cent. "So, whatever is the decision, my willingness and motivation is to play and enjoy football, and be part of a human project and try to realise and reach the main target of this project." Get Sky Sports Premier League to see a massive derby day. Find out more here.